Commissioned workshop based project for students to understand the use of stereoscopes in the past to make sense of landscapes and topography. Students learnt about the use in photogeology, military usage, the history of making stereoscopic apparatus and its applications in leisure, and psycho-physiological issues of seeing in stereo / 3D. 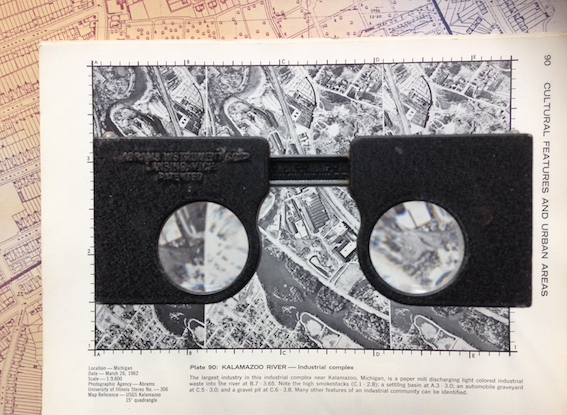 Students made their own stereoscopic photographs of imagined landscapes and used vintage stereoscopes to view. Thanks to NCVO and all the schools involved. More workshops in 2018.